IBM MetroPulse allows you to better and more efficiently serve your customers by having the right products in the right place based on predictive demand insights. 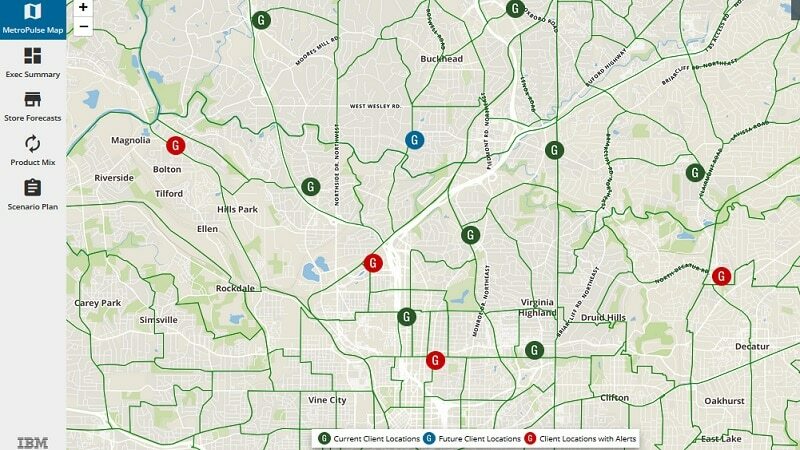 MetroPulse combines 3rd party hyper-local data, such as weather and neighborhood demographics, provided by IBM, with your product, transaction and location data. Demand patterns and drivers are identified utilizing preconfigured advanced analytics. 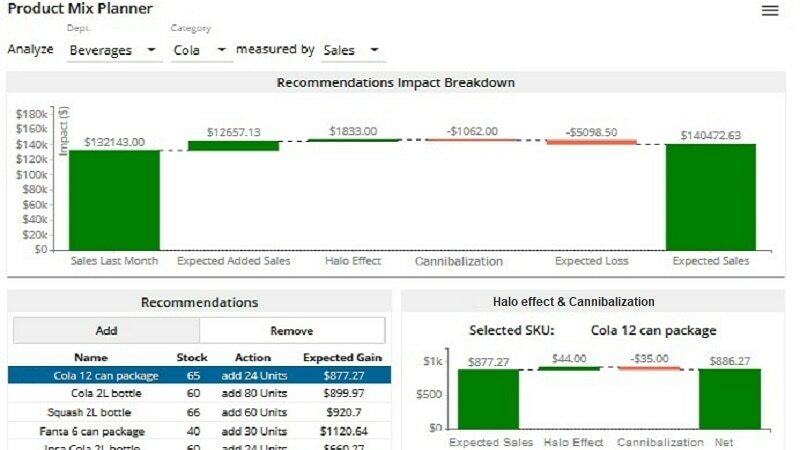 Opportunities and issues are surfaced in an interactive dashboard, indicating net impact on revenue and profit, so teams across supply chain, sales, merchandising, operations and marketing can swiftly prioritize what actions to take. 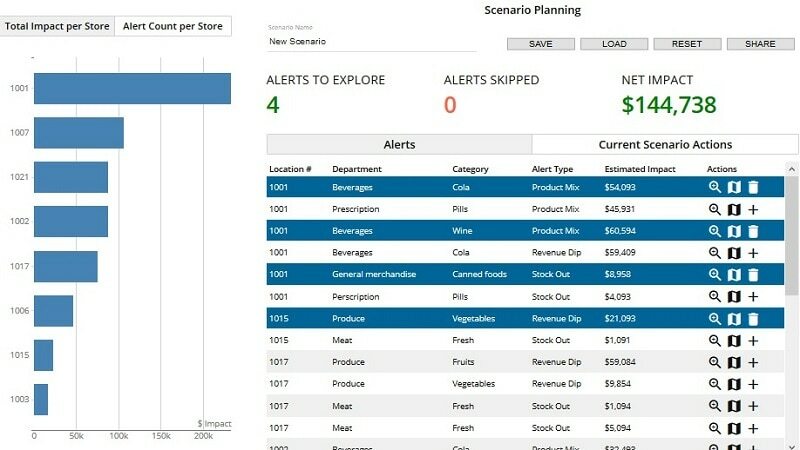 Predicting demand neighborhood by neighborhood allows you to take instant action, adjusting your assortment plans and forecasts to satisfy customers and improve financial performance. Benefiting from the advanced modeling of performance drivers, you do away with uncertainty and can provide accurate forecasts to all stakeholders. Giving all decision makers access to shared insights and predictions, actions can be optimized for their impact across the organization. Taking advantage of pre-configured modules developed by IBM's data scientists, you can quickly roll-out and see your performance improve, city by city, country by country. 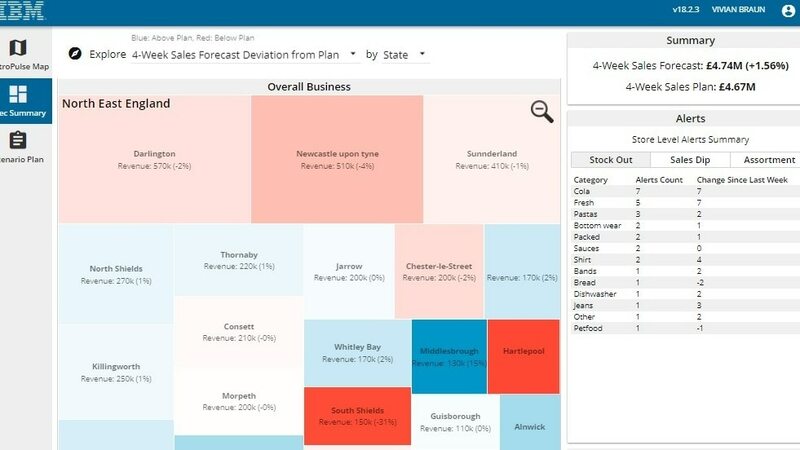 Having IBM provide and curate external data such as weather, events and local points of interest specifically for the analyses you prioritize takes away the procurement and data management challenges. Customizing to your needs, our consultants help you build on the pre-configured platform to meet the unique data and analysis requirements specific to your business.